Next season Evergreen Central crews plan to begin construction on the final new trail at Echo Ridge. 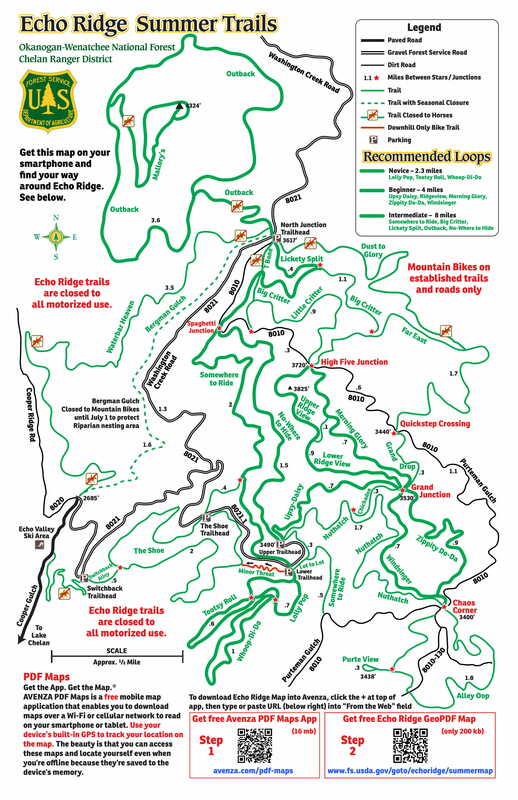 Once completed Evergreen and Chelan Ranger District will designate the Echo Super loop, which will combine the new trails and some of the best existing trails for a high quality 16-mile loop. Dry Trails at Echo Ridge are great. Come on up and enjoy!